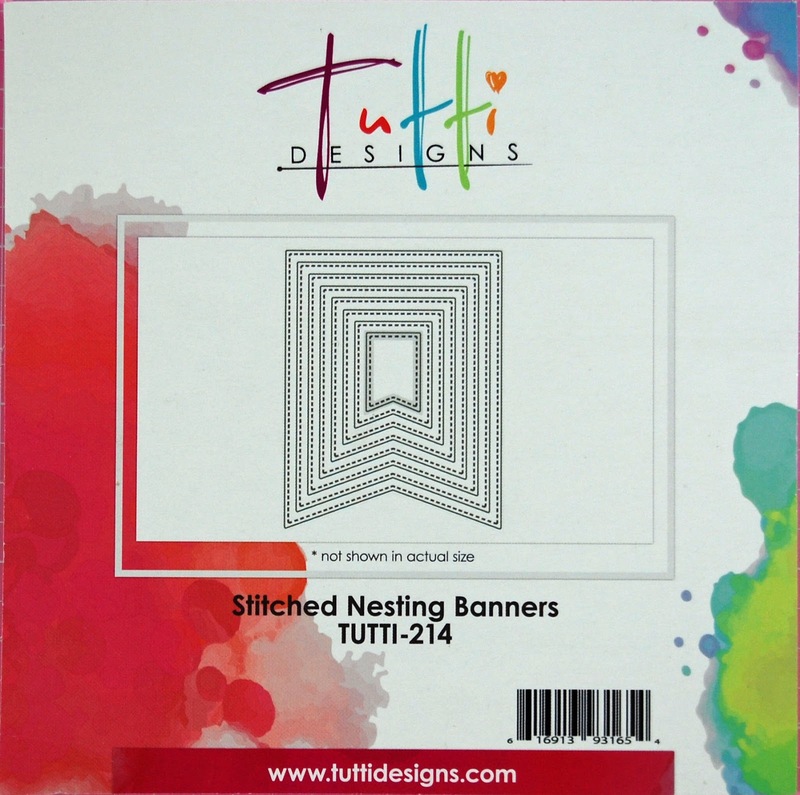 Tutti Designs: Happy New Year 2018! Happy New Year Tutti friends! 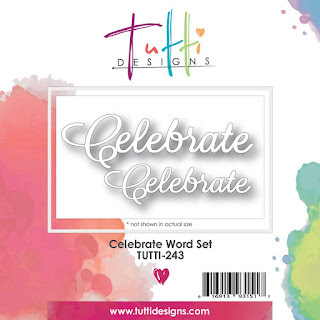 Vicki here...It's a new year and we're celebrating with a new release at Tutti Designs. 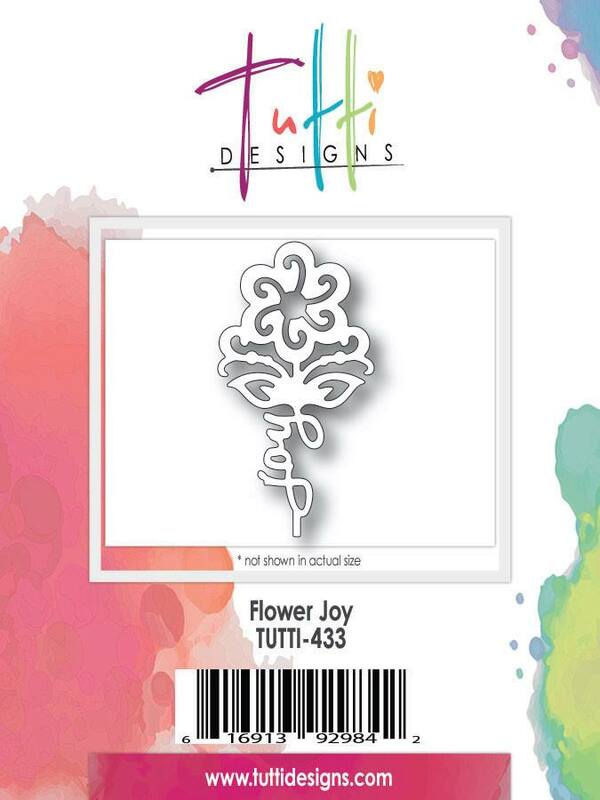 All month long we'll be featuring the newest dies being offered in the Tutti store. The December 2017 dies released are amazing and available for purchase now including a full inventory of others past releases. 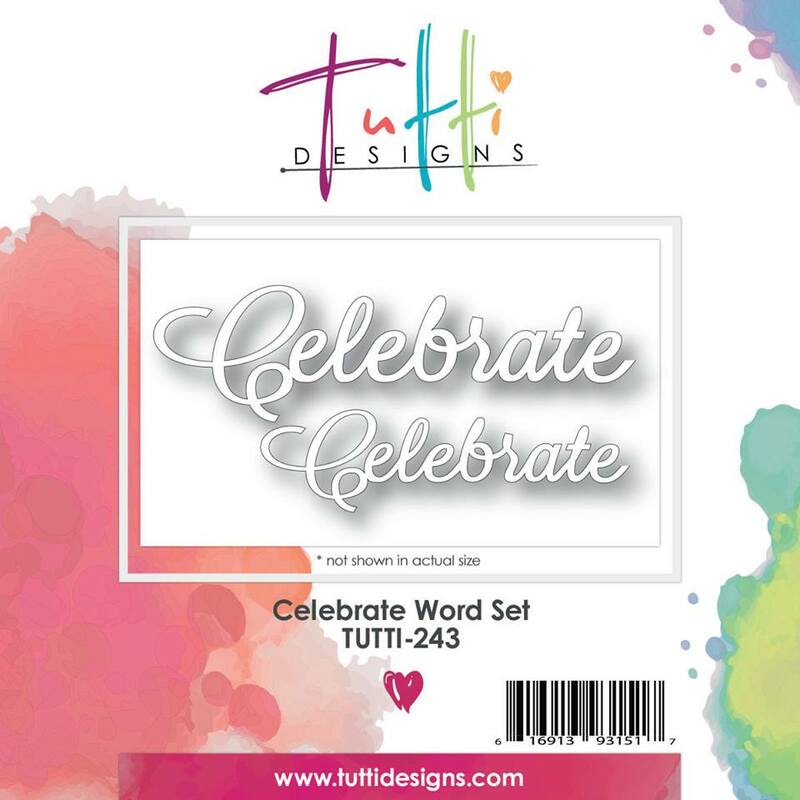 Check out the closeout section too! Tutti Designs sells retail/wholesale and has worldwide shipping! Today, I'm sharing inspiration using the Flower Joy die along with a few from past releases that are also available in the Tutti store. 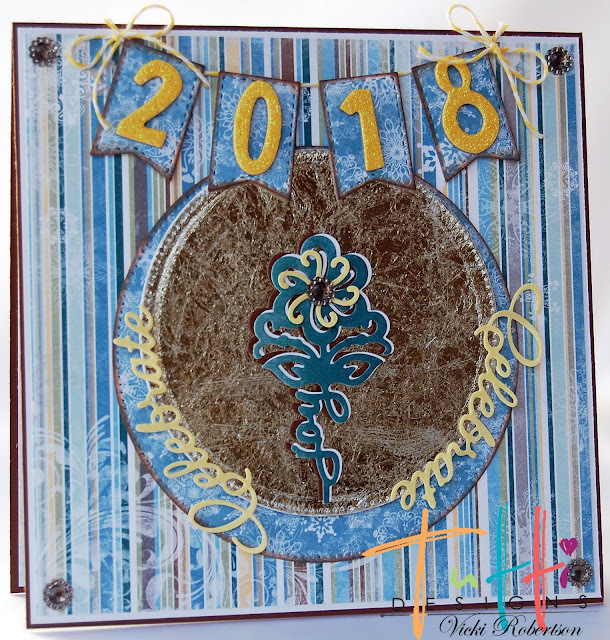 My "2018" Banner card has the newly released "Flower Joy" as the focal point. It is cut in three different colors and stacked for a matting effect. 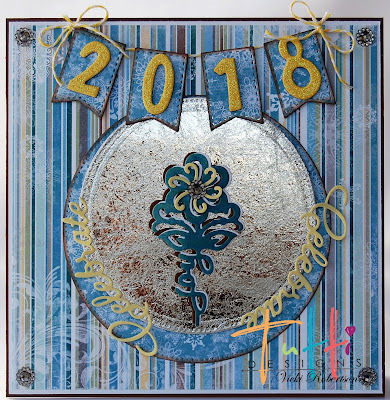 I tried a new technique for the focal point background that I learned my friend, Gracie at Graciellie Designs. 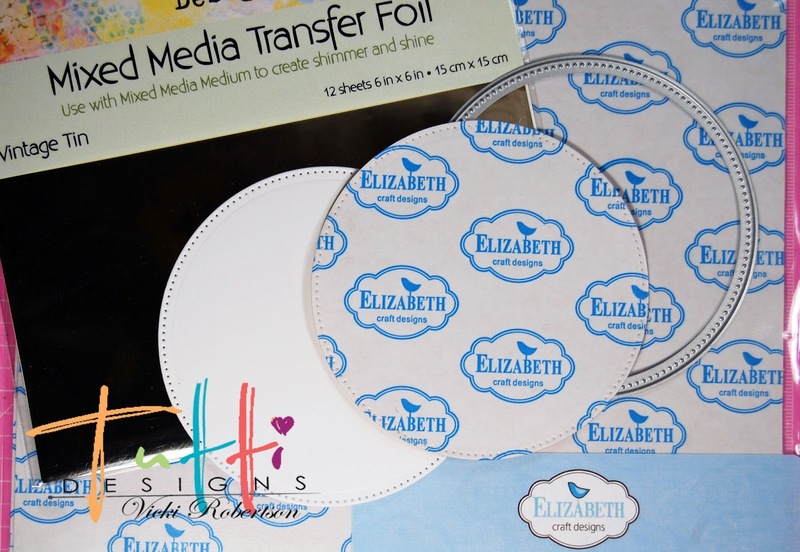 It uses clear, double sided adhesive paper and transfer foil. 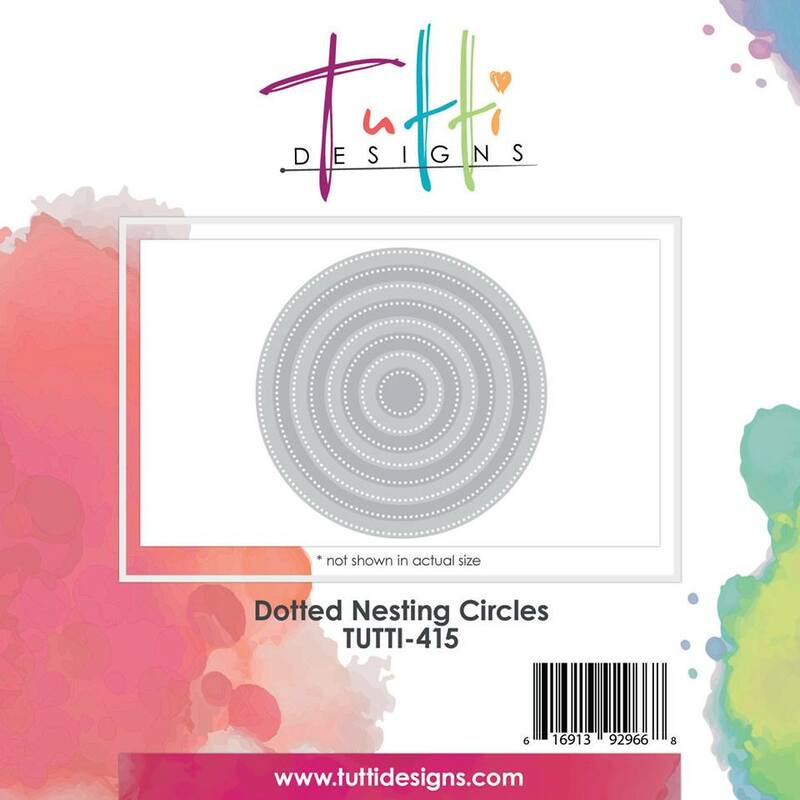 I cut the cardstock and adhesive paper using the Dotted Nesting Circle and adhered them together. Next, I peeled off the paper revealing the adhesive on the top side of the circle. I crumpled the foil paper tightly into a small ball and then opened it flat. Placing it over the adhesive with the correct side down, I gently smoothed the foil so it would stick. In the third photo you can see what it looked like when I peeled it away. 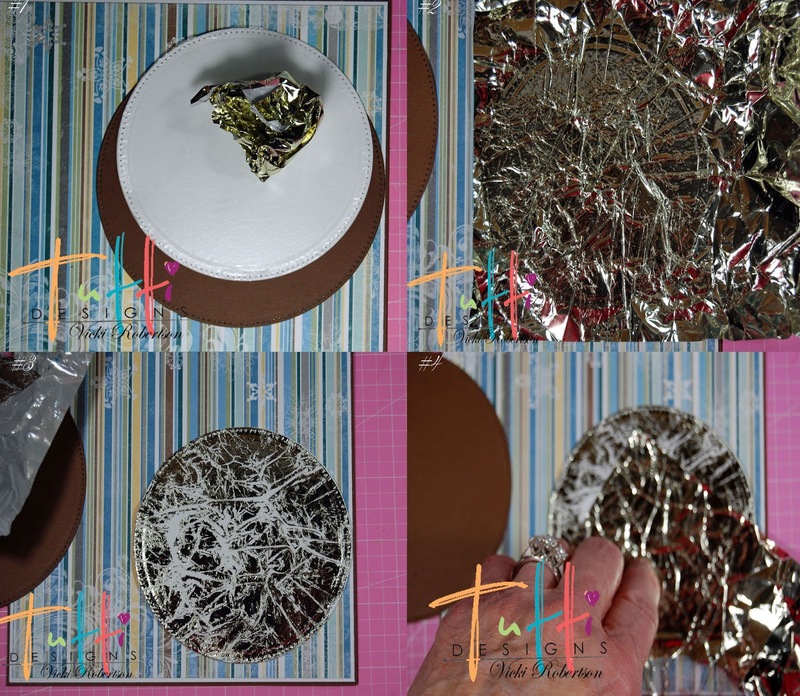 Continue this process until you achieve the look you want or the adhesive is completely covered. 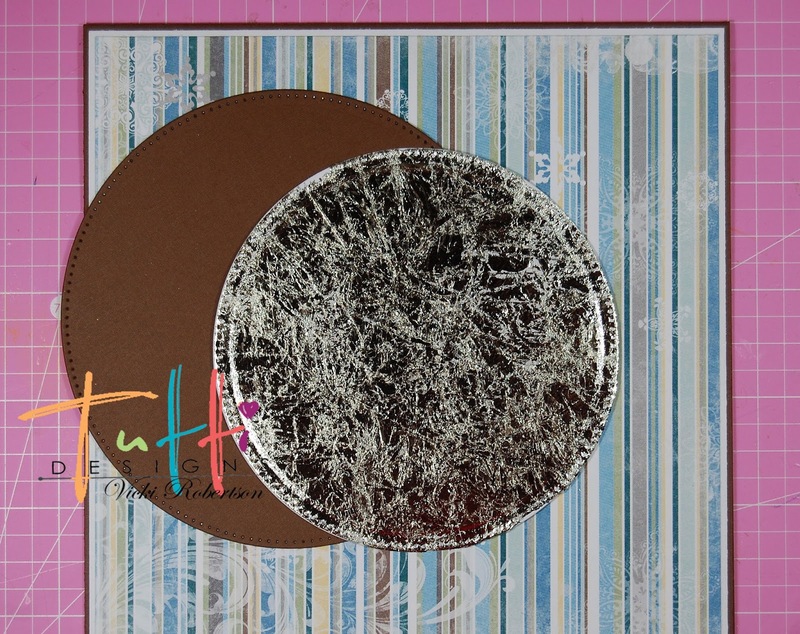 This gives a crackled foil appearance to the background circle. Here's a close up of the Flower Joy against the crackled foil background. I created the "2018" banner using the Stitched Nesting Banners and embellished around the circle with the large word from the Celebrate Word Set. 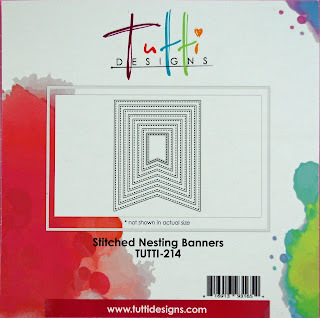 Thanks for stopping by to share my inspiration project for Tutti Designs! This is awesome Vicki! Happy New Year to you & your family! 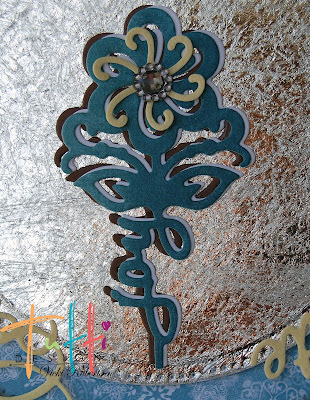 Love your design ... thanks for inspiration and helpful tips! What a fun card! Happy New Year! Awesome what a cool idea Vicki, nicely done. Happy New Year! 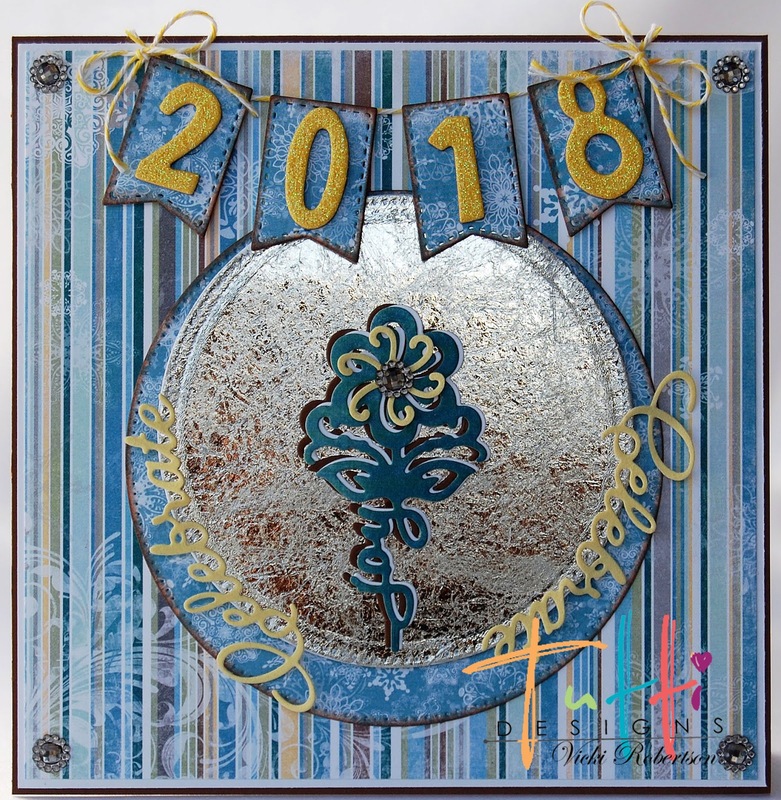 What a perfect new year card, love it Vicki! "Go Where Your Dreams Take You"